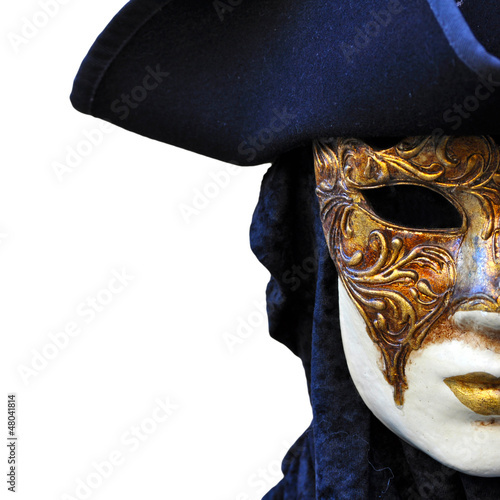 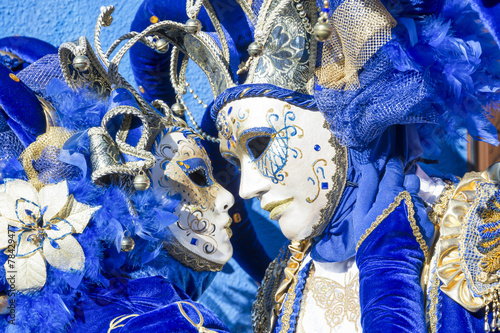 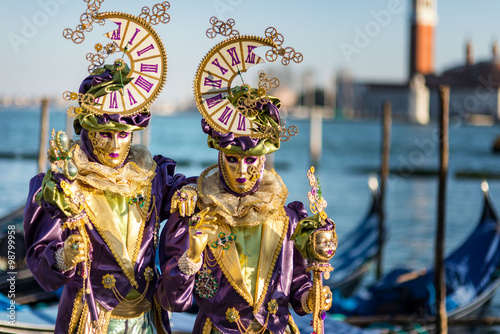 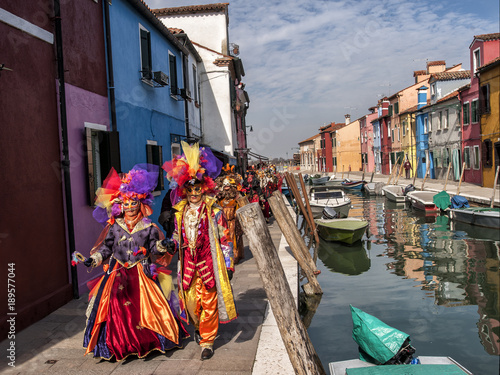 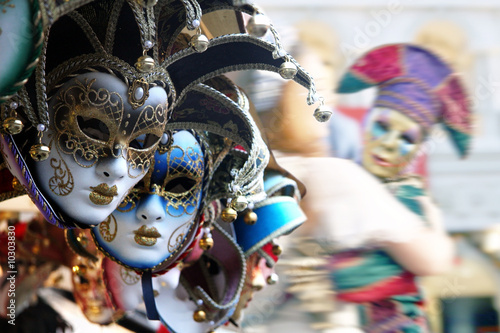 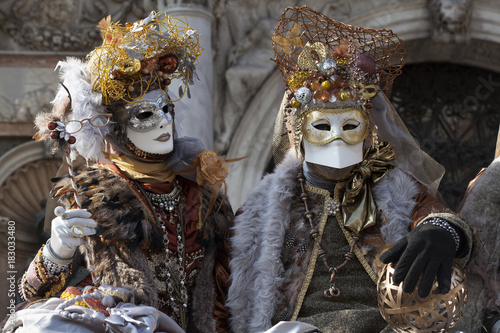 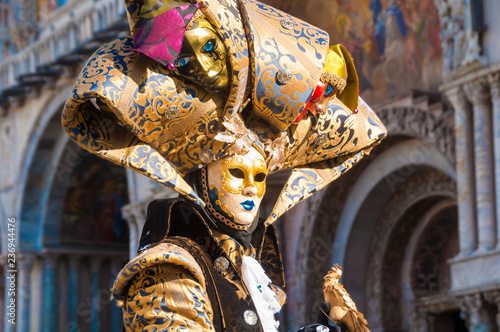 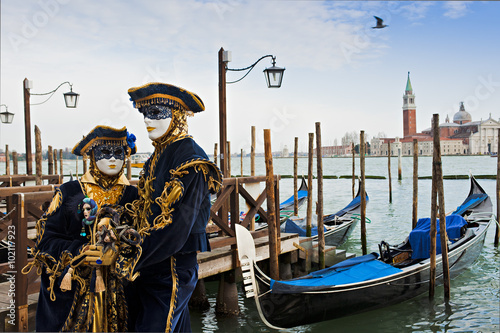 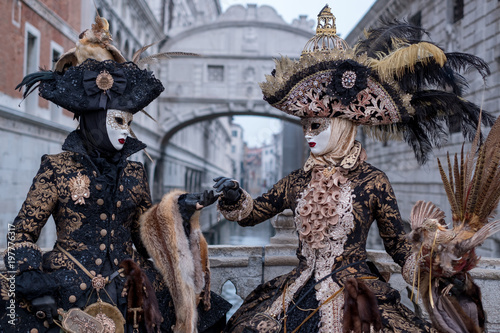 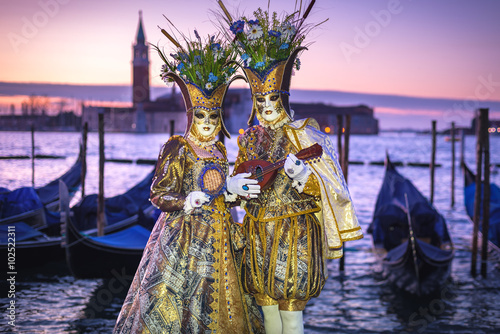 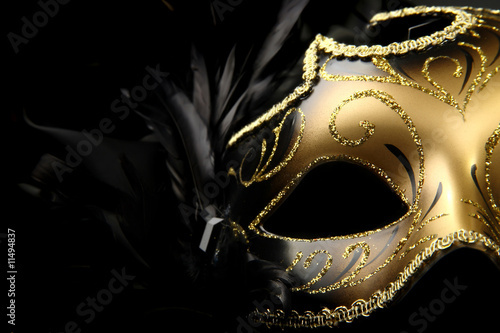 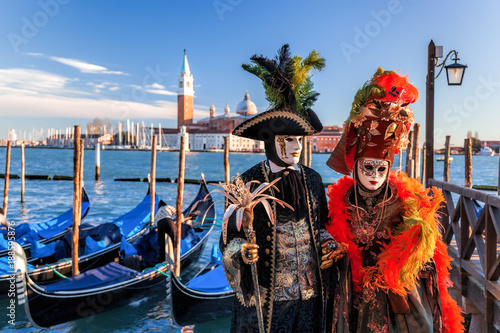 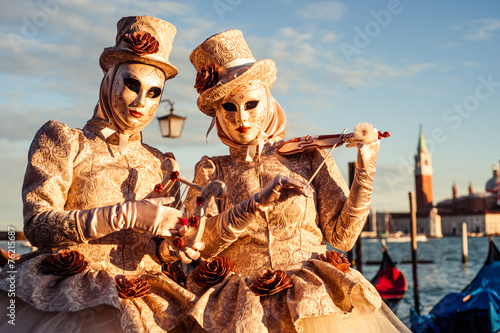 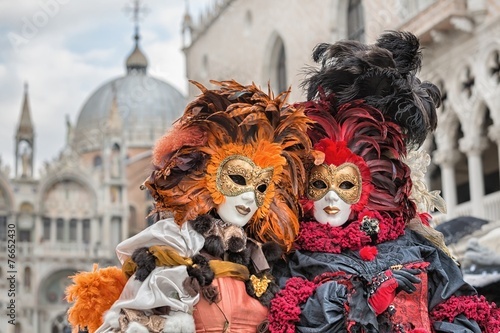 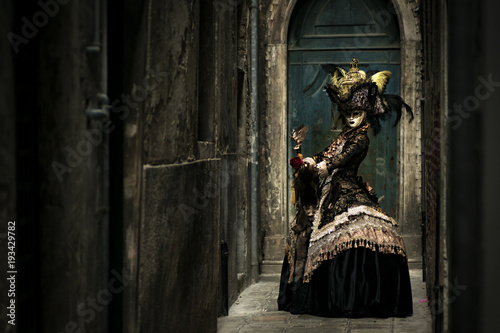 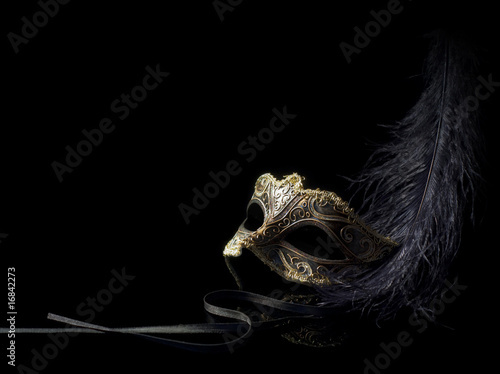 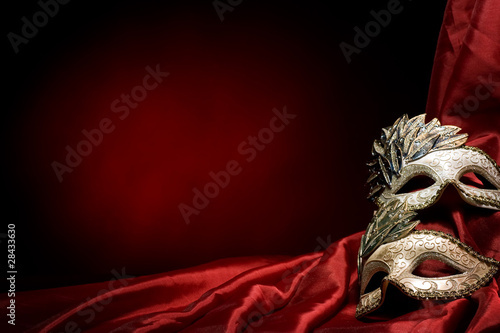 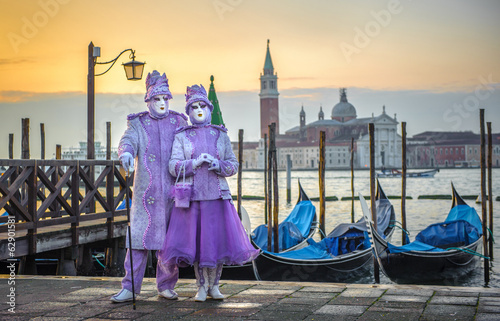 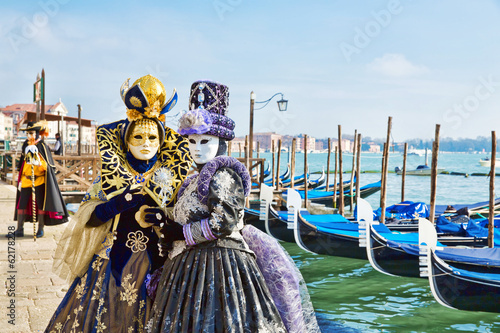 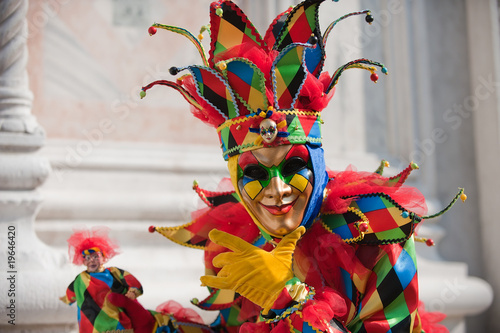 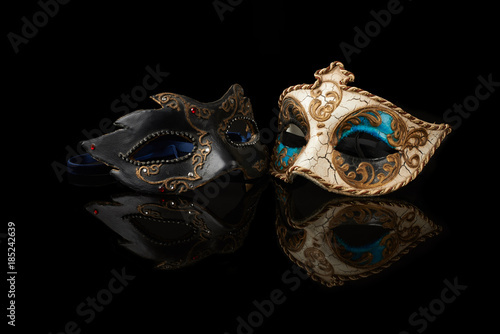 Couple in carnival mask in Venice. 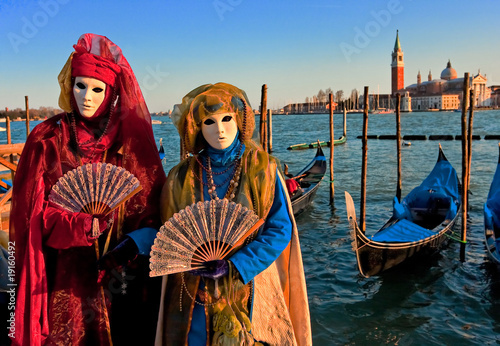 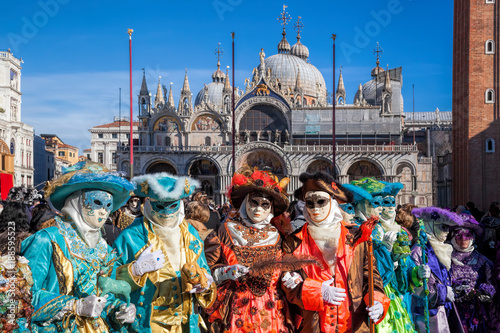 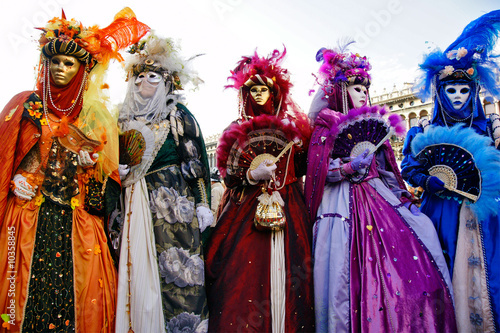 Group of masks in Venice, Italy. 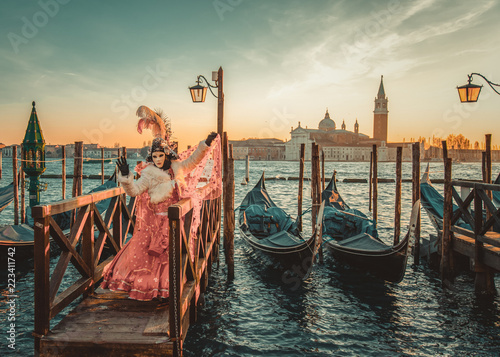 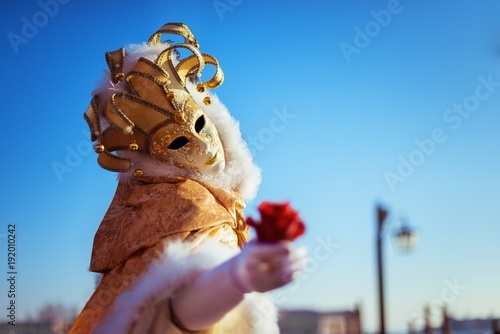 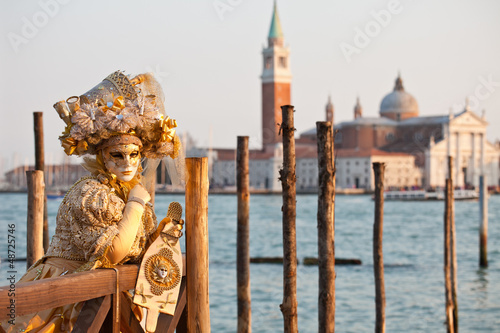 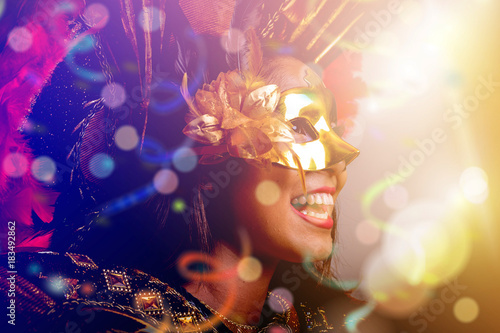 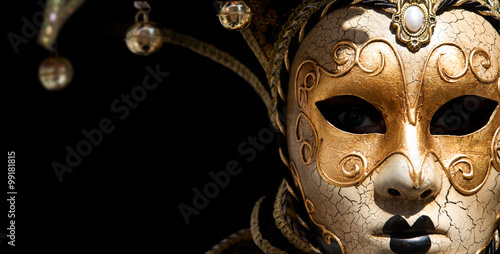 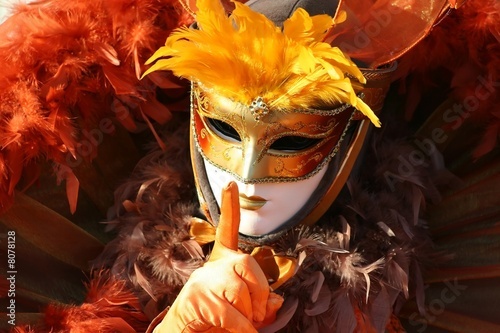 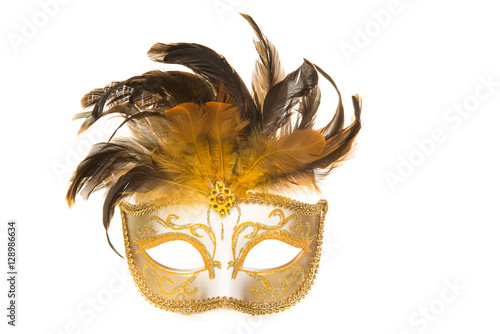 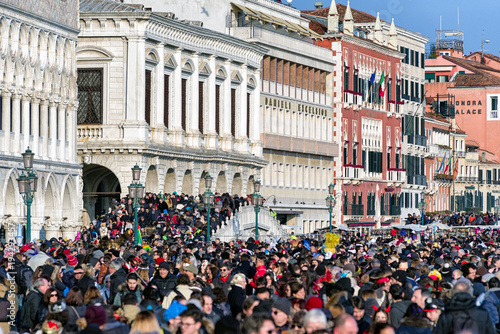 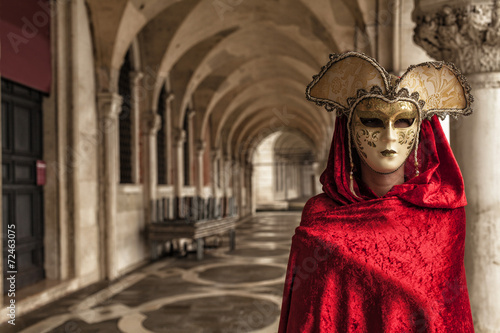 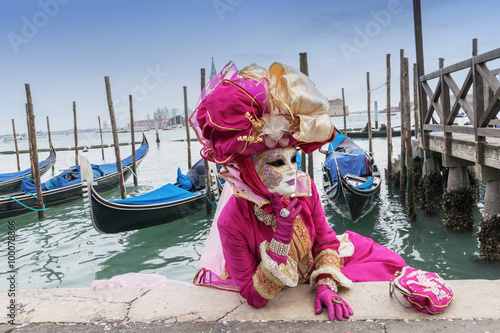 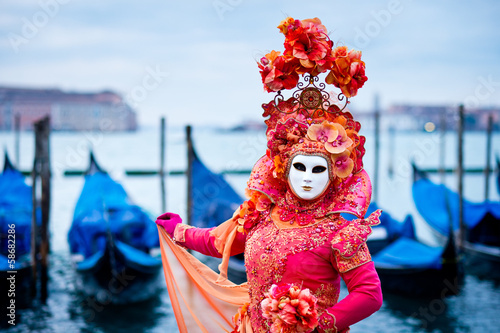 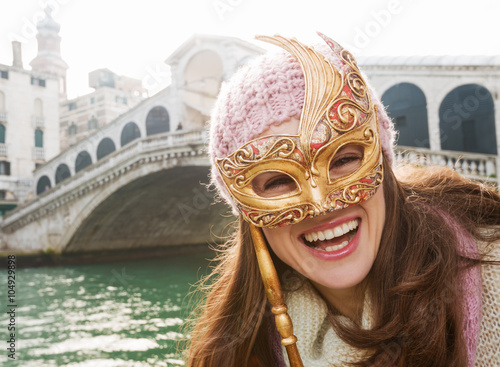 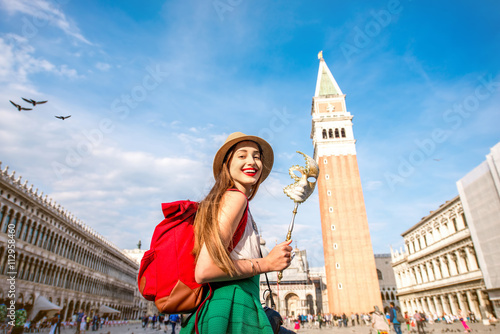 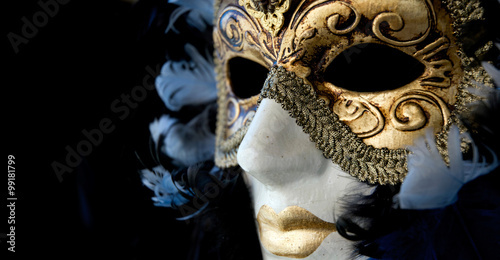 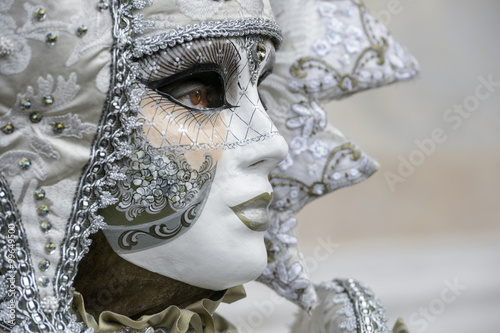 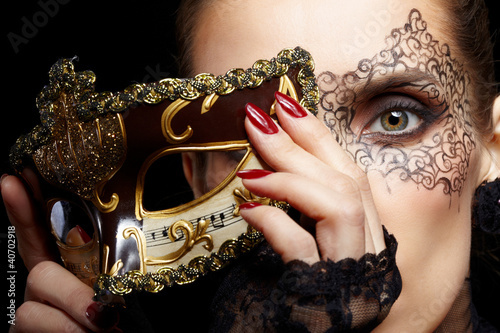 Young female traveler having fun with carnaval mask standing on San Marco square in Venice.